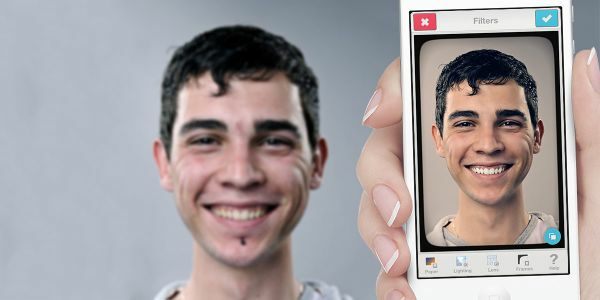 The photo touch-up Facetune app has been in the App Store for iOS devices a while now and yet Android users are sill waiting for the release. We have asked around and it seems the Facetune app release for Android is still wanted by users, but we have this little feeling the app may not release. On the PC we all have many software packages to help us touch-up photos, we use Photoshop and that works very well indeed, but what about something on a smaller scale for the smartphone or tablet? This is where the Facetune app comes into play; just a shame Android users are missing out yet again. This app is a lot easier than using Photoshop and it is so much cheaper at only $2.99, we here at Phones Review have tried to make contact with developers Lightricks Ltd to see if they will ever release the Android version but sadly no reply yet. Possible reason why no Facetune app release for Android yet! The only reason we can see Lightricks Ltd has not released the Android version yet could be simply down to the different screen sizes on Android devices. There are only a few sizes to think about when it comes to iOS devices such as the iPhone 4/4S, iPhone 5, iPad and iPad mini. Android devices comes with many screen sizes, we cannot see any other reason why the Facetune app is not available for Android yet, please do let us know if you have any other reason. This is a great app if you want to enhance your photos, you can remove wrinkles, smooth out the skin (Very good if you do not like crows feet around your eyes). Users can also get rid of any unwanted blemishes, stray hairs, bushy eyebrows can be trimmed, implant different colour hairs or the opposite. Other features include: Clear temporary imperfections, Enhance eyes for a better look as well as changing eye colours, remove red eye, blush or powder makeup tools, focus or defocus, Create customized filters, Tons of effects, Frame photos, stylized paper backgrounds, change the lighting and so much more. 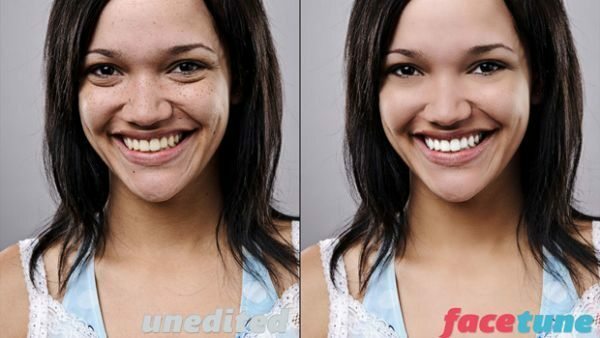 Please do let us know if you would like Lightricks Ltd to release Facetune for Android? Heck yes. Of all the features that would help me and my incredibly productive Note. The need for something faster and easier is huge. Dear facetune team , please release the facetune for android soon please. It such a great application! I use Aviary, it’s really good! Could the type of screen have anything to do with it? I’ve noticed many of the photography apps for iOS are not available for Android. Camera+ and Superimpose are two great ones not in the Play Store. Screen sizes may be it, but it could be the screen type. iOS has a better screen for doing many things that can not be done on Android. We have been working on developing the Android version, and it is expected to be released in about 3 months. We have a very small team of talented developers who are vigorously working to make our fans happy! I would definitely purchase facetune if it was available on android. I purchased it on my iPhone 4. This app was very, very useful. Hopefully soon it will be available! ! does anyone know of another app like this but for android? definitely, was the best app i had on my iphone and i was gutted i couldnt get it on my galaxy s4, i even just edited the demo photos when i was bored as i found it interesting how well facetune works. please please get this on android! it will be highly appreciated!